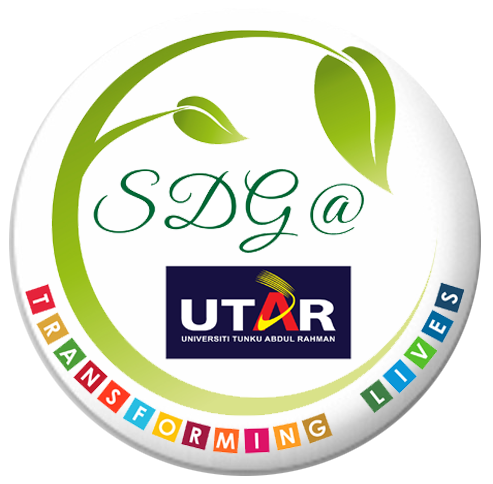 Speaking skills can enhance one’s personal life and thereby bring about the well-rounded growth that everyone seeks; hence why UTAR provides many platforms for its students to enhance their speaking skills. These platforms come in the form of various activities and competitions, one of which is the “International Speech and Table Topics Contests” jointly organised by UTAR Sungai Long Toastmasters Club and Toastmasters International, District 102, Division E, Area E2 on 23 February 2019. The competition was held at UTAR Sungai Long Campus. 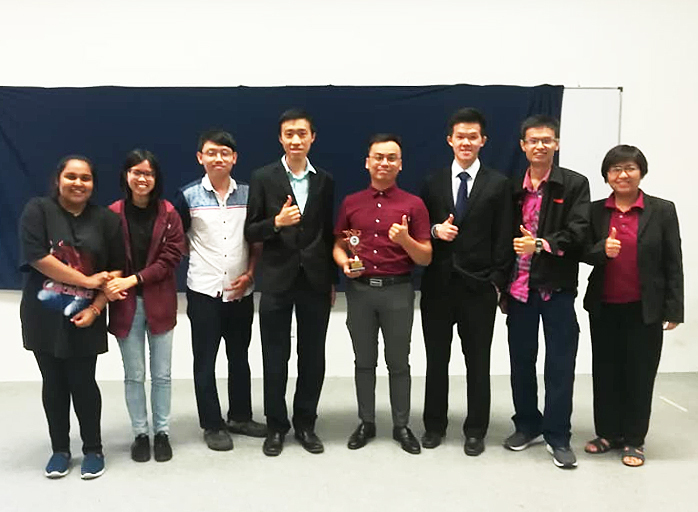 Present at the competition were Area E2 Director Patrick Lau, fellow members of various Toastmasters Clubs in Area E2, UTAR students and guests. The competition aimed to provide an opportunity for Toastmasters to gain speaking experience, as well as an opportunity for other Toastmasters to learn by observing proficient speakers. There were two competitions, namely the International Speech Contest and Table Topic Contest. The International Speech Contest required the contestants to prepare a 5-7 minutes speech with any title of speech whereas the Table Topics Contest required the contestants to speak on a specific topic assigned on the spot. 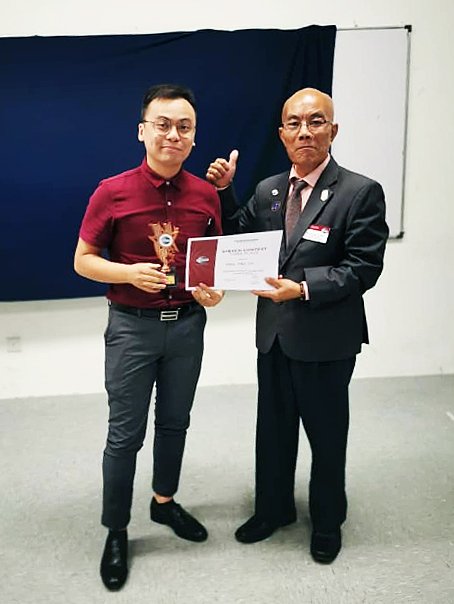 The International Speech Contest saw Quantity Surveying student from Lee Kong Chian Faculty of Engineering and Science (LKC FES), Heng Shen Yih winning the third place. Heng’s speech was titled “The Wall”. In his speech, Heng spoke about an introvert father whose characteristic is akin to that of a wall. Heng was awarded a trophy and a certificate. “Communication and networking skills are very important, and these skills will be greatly demanded in the future. I’m sure all students would agree to this. However, the only problem is finding a suitable platform to enhance these skills. As a student, I’m grateful that UTAR has given me this opportunity. I really think that Toastmasters is a remarkable platform for students to enhance their communication skills,” said Heng. The competition ended with certificates and trophies presented to the contestants. Toastmasters International (TI) is a non-profit educational organisation that operates clubs worldwide for the purpose of helping members improve their communication, public speaking and leadership skills. Through its thousands of member clubs, Toastmasters International offers a programme of communication and leadership projects designed to help people learn the art of speaking, listening and thinking. It was formed on 22 October 1924, at YMCA, Santa Ana, California, USA and has since spread worldwide. For more information and updates, please visit the UTAR Sungai Long Toastmasters Club’s Facebook page:www.facebook.com/UTARsltmc/ or contact Club Vice President Education, Chang Hong Pin - wasap.my/60173854890 or Email: jackiechang295@gmail.com.